A slice of their Delhi afternoon. 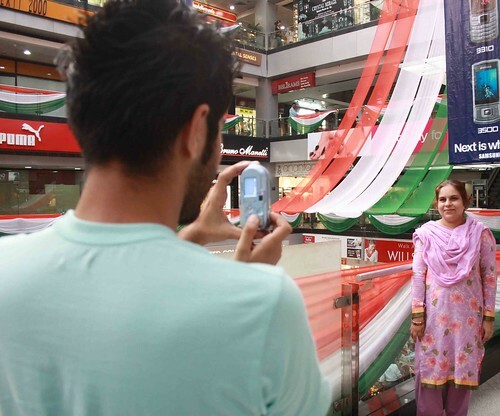 One afternoon The Delhi Walla bumped into a Pakistani family in Gurgaon’s Metropolitan Mall. 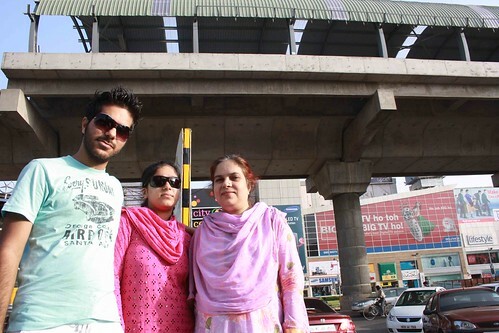 The mother, Fauzia Shakeel, was in Delhi after a gap of 25 years, while daughter, Urfa, and son, Rizwan, had come for the first time. 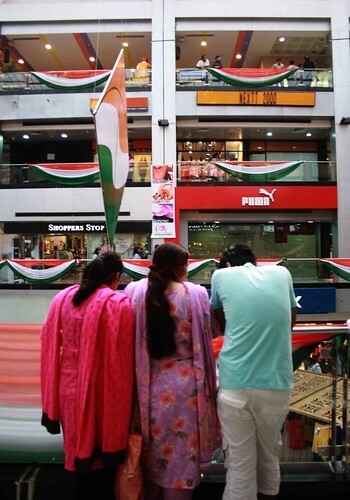 They were staying with Indian relatives but were on their own in the mall. “There’s nothing like this in Karachi,” exclaimed Rizwan while comparing Gurgaon’s skyline to that of his city. A stylish young man of 24, with gelled hair, he was in a blue T-shirt and white cotton capris. “No, capris are what the girls wear,” Rizwan explained. “This is called three-quarters.” He said it with an authority befitting to what he is – an ambitious fashion designer. Brought up in Karachi’s middle-class Baloch Colony, amidst a family business of cycles’ wholesale, Rizwan’s career choice had created ripples. His father, who wanted him to be a banker, was upset. 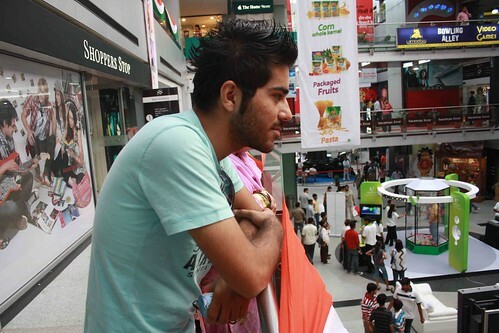 “Pappa said that a fashion designer’s job is not real work,” Rizwan told me while peering into the Swatch showroom. The mother had then stepped in and convinced her husband to let the son do whatever he wanted. A black sheep in his family, Rizwan was looking exactly that in the mall, while walking between his traditionally dressed mother and sister. In their long-sleeved shalwar suits, both stood out among Delhi’s jeans-clad mallrats. Later, the family sat down for a meal at Haldiram’s, on the third floor, and ordered for masala dosa. During the wait, Rizwan looked around and said, “In Karachi if we spot a girl in jeans or shorts, we say ‘Wow, it’s an Eid today.’” Sister Urfa smiled. “I saw girls riding scooters here,” she mumbled, and blushed. “In Pakistan, they always sit with both their legs on one side.” The discussion stopped with the dosa’s arrival. Clueless to the world of South Indian cuisine, the three Karachi-ites peered inside the dosa, tapped on its surface, tried to turn it around, and discovered a potato stuffing inside. They referred to sambhar as bhaaji and stared at the white coconut chutney with complicated feelings. Urfa yearned for a KFC burger but the mother said that she could always have that back home. “In other people’s countries, you must try their dishes,” she said. Rizwan sure is promising. In his seventh semester, he had designed a jacked inspired from the works of a Canadian painter called Lena Karpinsky. The artist was so impressed that she created a separate page on Rizwan on her website. By the time the family walked out, it had grown dark. 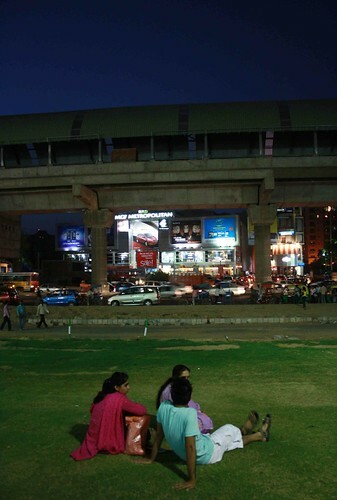 Having bought nothing, they sat down on a grassy slope and quietly looked at the neon signboards blinking on Gurgaon’s several malls. “Indians have now more money,” the mother said. “We also have these kind of malls but you people are ahead.” They then decided to try out Delhi’s famed metro train the day after. I am sure once the middle class in Pakistan triumphs over the prehistoric ideas of the mullahs, it will be as prosperous as India. God Bless India. God Bless Pakistan. On a different note, I wish the same for my Kashmiri brothers too. Instead of just being angry with India for 5 decades and ruining their lives for that impossible Azaadi the youth should now focus on Kashmir’s development and their own prosperity. Surely blindly following a religion without thinking of one’s career is not the smartest thing on earth. This was fascinating – I have often wondered out about what Pakistanis think of India when they come for visits. my fore fathers were from pak nd nw i hav sum good friends too from karachi ,lahore etc. ab pata nahi yaar yeah ladayi kyun? 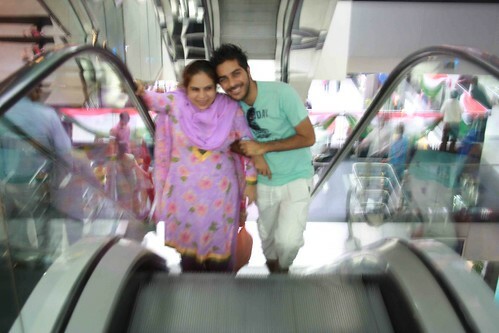 ← Photo Essay – Is Delhi Rude?